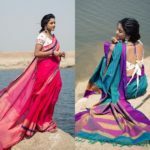 Are you a saree lover? 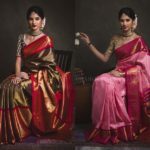 Does a good looking saree give you goosebumps? Fine! We get the point. 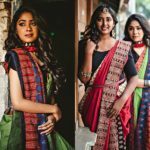 Our entire Keep Me Styish team is a way crazy when it comes to finding unique saree collections any time. 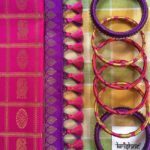 For instance, when we are away from work, there are few activities that we indulge to satiate our desire to unearth good sarees online. One is to watch the celebs and style icons (on Instagram and Pinterest) on what they have been wearing off late. Next is to research more on the brands and labels that these fashion-loving-women pick dresses from. 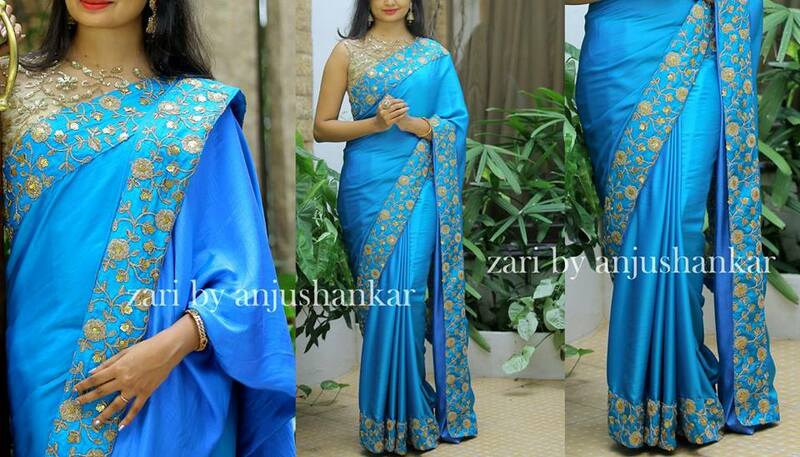 That’s how we stumbled across this notable brand ‘Zari’ by Anju Shankar. 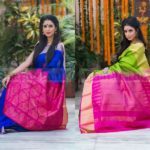 Started by two entrepreneurs, Zari has now evolved into a reputed online store which offers customized sarees to their countless customers all over the world. [Yes, they offer internal shipping so here goes a big Hi-Fi for NRIs!!!). The first and foremost thing that drew us towards this humble brand is their vivid portrayal of colors on each of their creations. 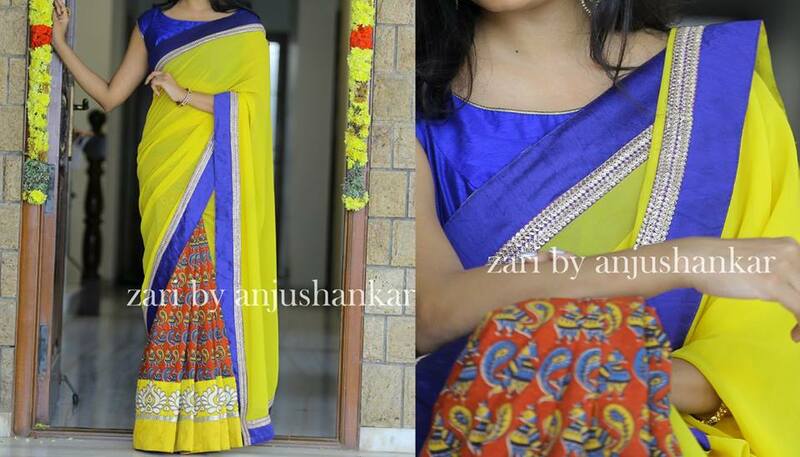 There is an untold boldness and delightful mix of hues that makes their sarees standout from any fellow brand. From classic silk to trendy drapes, you can see this brand giving their own spin to bring a modern charm to this traditional outfit. 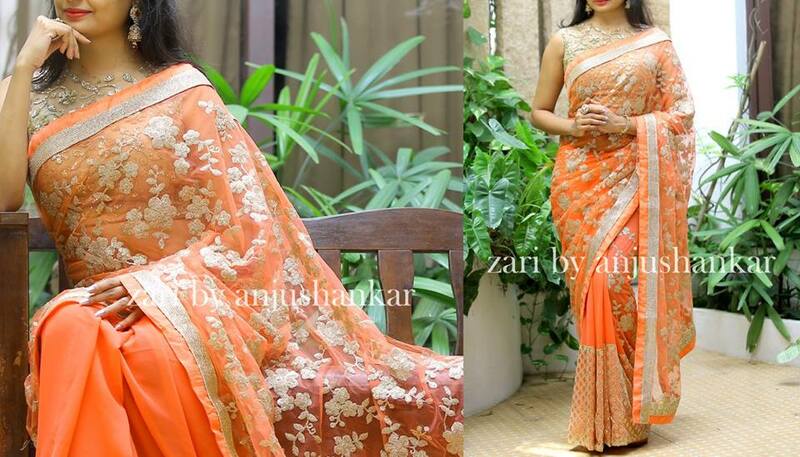 Now take a look on few of irresistible sarees from this label. You can shop them online from their website. The link to which is given at the end of the post. If you are regular reader of our blog, you would have even noted that we have referred Zari in many of our earlier post as well. If you check their online portal you will not just see the saree but the way it would exactly look when you wear it as person. That’s why we always look upon this brand for blouse choices, color combinations..etc. 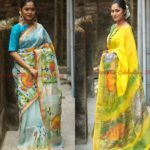 So if you just want to go beyond collecting the default sarees that is retailed out, then the customized designer sarees from Zari will pique your interest. Do check their lovely collection and let us know if you like them. You can shop their collection here. Below is their contact detail. 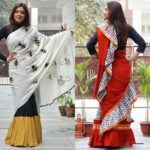 Next articleWant To Look Stylish in Saree? Try Back Knot Blouse Designs!